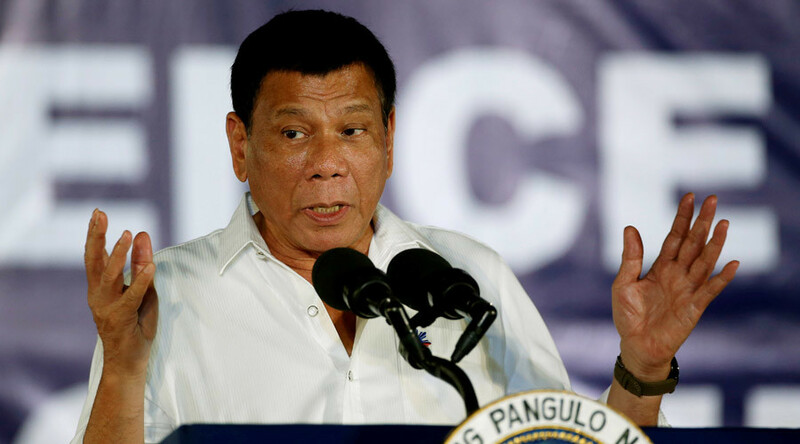 Philippines President Rodrigo Duterte has taunted the country’s bishops and priests to drop their “hypocrisy” and try drugs themselves to fully grasp the seriousness of the problem. The Catholic Church got the emphatic message on Wednesday, the same day the Philippines was blessed by Pope Francis. 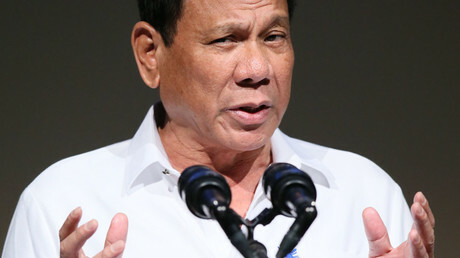 In a speech marking the 20th anniversary of the Premiere Medical Center in Cabanatuan City, Duterte slammed the Church for its opposition to his hardline war on drugs, AFP reported. — Pia Ranada (@piaranada) 18 января 2017 г.
Shabu is the Philippines slang term for the highly addictive crystal methamphetamine which is the most popular illegal drug in the country. Since Duterte assumed office in June 2016, the President’s war on drugs has claimed 6,000 lives. While police reported to have killed 2,250 suspected drug dealers, nearly 4,000 people were murdered by unknown assailants, according to Reuters. Duterte recently stated he could even impose martial law if the situation deteriorates. The Catholic church has been in Duterte’s firing line since it launched a campaign to stop the killings, a move Duterte describes as “all the hypocrisy” of the religion. In his speech broadcast on TV, the 71-year-old president also touched on controversial issues such as as celibacy and homosexuality of priests. Although Duterte is quite popular with Filipinos, about 80 percent of his countrymen are Catholic, so the Church is not only an important social agent, but also vocal in the political affairs of the country. It’s not the first time Duterte has criticized the Church. He reportedly cursed Pope Francis for causing heavy traffic during his visit in January 2015, but later wrote a letter of apology for the ‘misunderstanding’, as he blamed inefficient traffic management. On Wednesday, the Pope blessed the Philippines and their president. According to Presidential Adviser on the Peace Process Jesus Dureza, Duterte asked the Pope to bless the Philippines, and the pontiff replied that the president will also get his blessing.